Chicken tastes so good with a nutty marinade. Switch up your peanut butter with sunflower seed butter or tahini and you’ll find a new favorite. Cut chicken breasts into large 1 inch cubes or chunks. In a resealable plastic bag, add sesame seed butter, onion, chili powder, ginger, olive oil, lemon juice, and cubed chicken. Rub chicken with marinade mixture to ensure all chicken pieces are covered. Refrigerate for 4 to 12 hours to enhance the flavor. 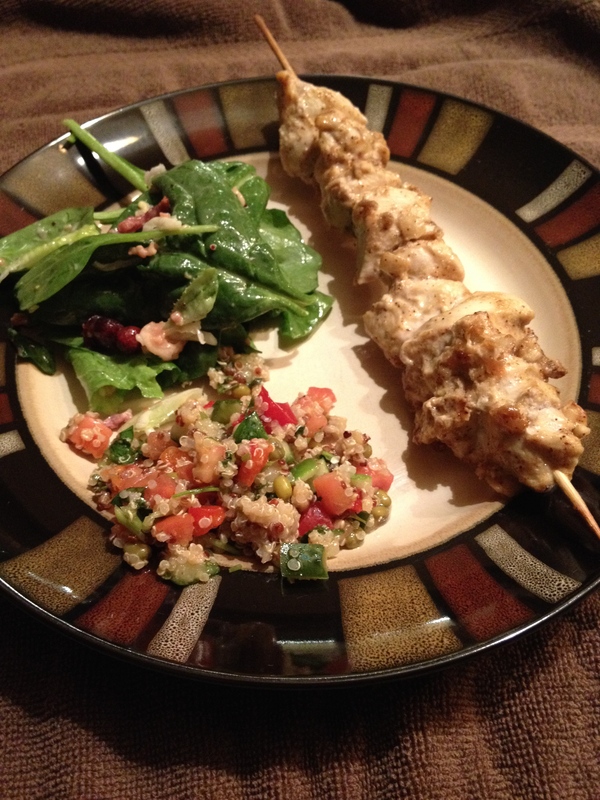 Thread cubed chicken onto skewers. Bake at 400º F for 25-30 minutes or grill on high for 20 minutes or until chicken no longer pink.